Fashion design is not about status, it's about sleepless nights trying to sort that seam out and chasing perfection. Fashion is an expression of daily life, arts and feelings, but there’s more than just the creative side. Fashion is about discipline, hard work, perfectionism and attention to detail. Come and see what fashion design really is. 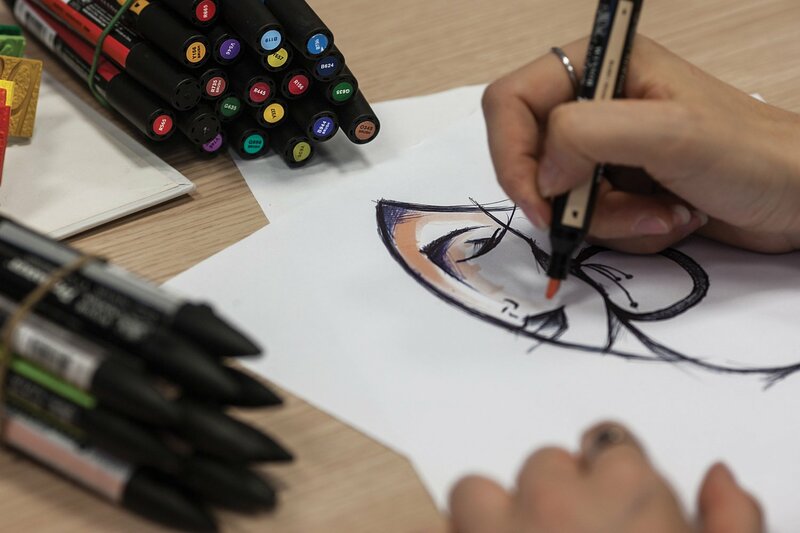 The Fashion Design Bachelor’s degree (180 ECT) is acknowledged by the Italian Ministry of Education, University and Research for both Naples and Milan headquarters, and is equivalent to all the degrees in representational arts, music, show business and fashion. Admission is restricted to students with a high school diploma. You can find more details in our General regulations. Fashion master’s courses have a duration of one year, with an attendance of 3/4 days per week. Admission is restricted to students with a Bachelor’s Degree (180 ECT), Degree or other qualifications accomplished abroad and recognised under current legislation. Acquire new skills or improve your competences with one of our specialisation courses. Footwear pattern makers combine the creative and technical skills of designers and pattern makers, they know how to manage shoe prototyping from design to production. This short course is designed to help you make the most of your attitude and personality to support your career in fashion, show business, events and conferences, or if you just need to feel more self-confident. This advanced course for shoemakers trains design and prototyping technicians specialising in CAD systems. It’s an immersive and active journey into the creation of a complete line of footwear. Master the art of Italian tailoring in a 16-month course, with a focus on Neapolitan-style tailoring, pattern making and bespoke tailoring.